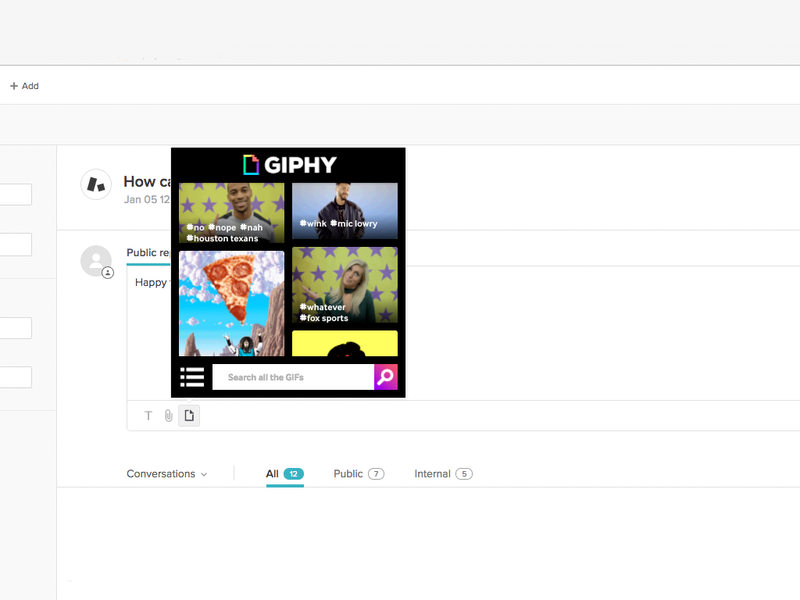 Bring the power of a GIF search engine to Zendesk. Add GIFs to your tickets! Bring the power of a GIF search engine right into Zendesk, and respond to tickets with GIFs seamlessly. Browse our curated list of trending GIFs every day or search from dozens of hand-picked categories such as reaction GIFs, celebrity GIFs, mood GIFs, etc. To use the GIPHY app, simply search for a GIF and click on a result to insert it directly into your ticket reply. Once you've added the GIPHY for Zendesk app, look for the GIPHY logo in the toolbar below your ticket reply editor; click the icon to reveal the GIPHY pane. 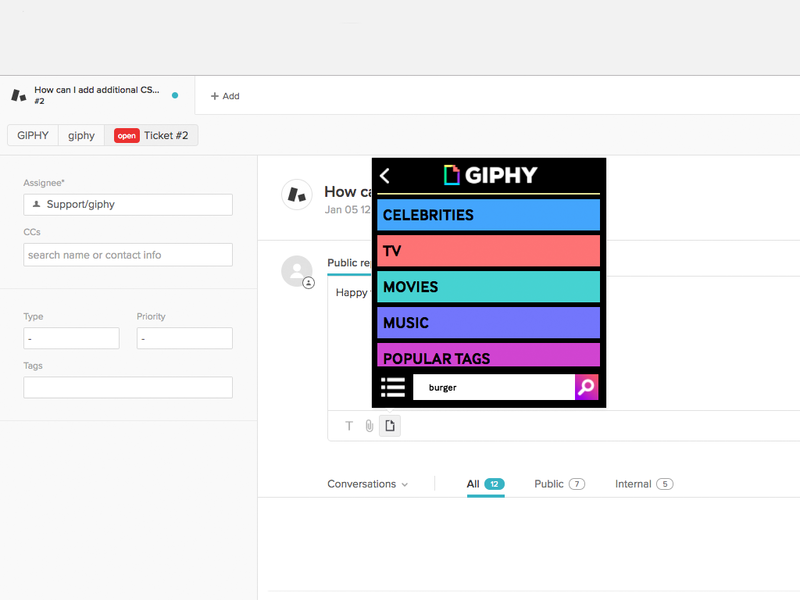 From there, simply search for a GIF (or browse through dozens of hand-picked categories) and click on it to add it to the body of your ticket.